For a great corporate meeting the most important thing is to find a good and efficient caterer. Corporate meetings can be troublesome for small organizations that need to throw good parties to impress clients. With limited budgets small corporations find it hard to organize good corporate events. With cheap catering, a small corporate house can also throw a lavish corporate meeting. With cheap catering you can minimize your budget costs considerably, as most expenditure goes into catering. Cheap catering service providers like Catering Melbourne, carefully plan your menu. The end result is awesome food with very less expenditure. Having finger food menus for your corporate meetings is a finest option for cutting costs. Finger foods help you avoid the expenditure on crockery and cutlery as they can be eaten right from the hand. The key to having great finger food is to keep them crisp, unique and irresistibly delectable. People always prefer finger foods that are smaller in size. The small sized finger foods help them avoid the mess of sauces and dips. Catering Melbourne offers five different Finger Food menus exclusively for your corporate and wedding events. The price per person ranges from $9 to $29 to suit all kinds of budgets. Catering Melbourne cheap catering finger food menus offer meat, vegetable and fruit rolls, rice paper rolls, puffs, pies, balls, samosas, Quiches, Tikka bites, mini peppers, pastries, mini pizzas, Crescents, skewers and grilled/fried sea foods. Dips and sauces are extremely important when you chose finger food as a menu for your events. With delicious dips even regular food tastes good. Having different kinds of dips in your menu will increase the variety of your dishes. Using ingredients like mayonnaise, cheese, cream, vegetables, fruits and chocolates for your dips will make your finger foods more appealing. Catering Melbourne offers delicious sauces and dips like Satay sauce, Tomato Sauce, Sweet Chilli Sauce, BBQ Sauce to name a few. Selecting a good catering service is of great importance for your business organization as a well as to impress your guests. For keeping costs as low as possible try selecting cheap catering service. The best bet for cheap catering in Melbourne is Catering on the Movie. 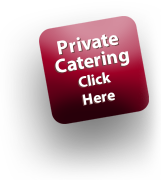 Catering Melbourne provides excellent catering services for corporate as well as private events. They have customized menus to suit the preference of every client and their budgets.